Yet just a few short months later, you’re using your Facebook muscle and multitudinous mulah to pi$$ on bloggers by making it very difficult to get traffic to our posts—many of us for whom not a penny is made from blogging. You have our attention. But I’m afraid it’s not in a good way. I mean, when is enough, enough? I’m glad I'm a procrastinator and didn't immediately buy your book in the post BlogHer '13 glow. My love affair with Social Media began in earnest when I was living in San Diego. Three time-zones and an entire country separated me from my daughters, my mother, my friends, my posse. Facebook was all I had when on many days I felt as though I lived in a foreign country. I was the too large, too short, not blond enough Midwestern Interloper who often didn't garner enough interest for people to remember my name, or that we'd met before. Enter Twitter: Facebook's racier, hipper, #twerkier cousin, who it turns out a) teaches a writer-type to be more judicious with her words, and b) much more quickly breeds (do it organically) contacts, promotes fantastic writing and business tools, promotes opportunities for learning, and promotes one another. But Twitter isn't known for conversion rates, that is, converting from delivering free information to putting dollar$ in your pocket. And then there's Google+. Social Media powerhouses like Guy Kawasaki, also a BlogHer ’13 keynote speaker, and the woman behind the man, Peg Fitzpatrick, encourage folks to use the platform, and thus it looks more and more appealing all the time. Here's the rub: like it or not, Google is the algorithm ruler of Internet Kingdom, and if you wish to have any kind of a presence, be any more than a microblip on the a$$ of humanity, have any kind of influence--staying power--apparently this is something equally, if not more, necessary. Yeah, yeah…we’re grudgingly on board. Maybe soon to be gratefully so, with the introduction of friends, Lisa L. Flowers' & April Welch's, Google+ Newbie Group, where your questions are actually answered. You might want to ask to join. You know where I mentioned INcome? Despite the odd day when I may spend as many as 16 hours at my computer, I haven't actually found a way to make income happen on any of those magical pathways to...all I'm NOT accomplishing. I’ve had a couple posts picked up by Yahoo!—and made four whole dollars. I need balance in my life. It’s time to work smarter. Because it turns out actually BE-ing obsessively on social media doesn't put ca$h in your pocket unless you're willing to sell your (soul) web space to the devil, or you agree to write meaningless words on topics that don't matter about companies with deep pockets that lack any manner of good social intentions. I haven't yet mentioned Pinterest, but since it's where I share all my favorite gluten free and GANE Empowered Wellness: GANE Possible resources, including recipes, brands and products, it more than earns mentioning. Again, however, I've yet to turn all that pinning into income for Momma to help pay for expensive gluten free grub for my growing tween. Good gluten-free gravy, what in the world will I do when he does meet teenagerhood?! So, Facebook, fan of yours though I was, I need to start EMPLOYING all the articles I've read and teleseminars I’ve watched. I need to maintain some sort of Social Media Free Zone. I need to actually produce, choose one of my umpteen projects, finish a book, APE it, or query and SUBMIT, rather than merely hope someone Stumbles upon me (SO not ready to go there). I hope you understand. And I hope you will still be there for me, ready to help me pass the time waiting for my kid in line at school, or when I need a good laugh, or when I miss my cyber friends too much. We'll still hang out. But my smart phone will spend less time in my hands. They'll be too busy typing words that matter. So, all those ad$ you’ve schnockered businesses into paying for? That’s not where I’ll do my shopping, thank you very much, or ever have quite frankly, which might actually explain a lot. I’ll likely do that on Pinterest, or most habitually via a Google search, where a much higher conversion to dollars spent actually occurs--because I'm looking for it! And maybe that will prove true for image-driven Google+, too. 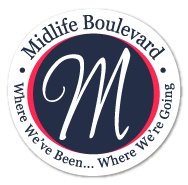 I, and many of my multitude$ of #MidlifeBlvd, highly-influential-demographic blogger friend$, have all but abandoned our pages, and many of us will not PAY Facebook to sponsor, boost or otherwise promote our posts. You have made more than enough money from all the ads (for singles? I’m married. To play GAMES?! Who has time?) we can’t avoid. And most of all, I require human, face-to-face interaction like I require air to breathe. I'll teach humans and small businesses that deserve a shot how to use and derive benefit from social media all day long, but to me there is no substitute for doing that in a way that allows me to look them in the eye, maybe even a la Google Hangout one day soon. Which is why my website saw an overhaul in the first quarter of 2014, when West Coast Posse—my effort to make a dent in the B.S. gang$ta attitude toward women that is so disturbingly prevalent in popular and social media—became GANEPossible.com. My focus is positive. It's on my local community, which I love so much that my family and I came back to Michigan after being in San Diego just less than two years (even though it’s friggin’ freezing again right now!). I will do community outreach, I'll speak, and I’ll host healthy cooking demonstrations. I feel we are on the cusp of some very important wellness messages spilling over, and that's a difference I hope to promulgate. I’ll be networking with other businesses both in person and online to achieve that end. I've adjusted and readjusted my strategy, and am working hard to complete my first book which I hope to have published at the beginning of May 2014. My belief is that small businesses need to band together. We need to collaborate, share with and promote the gifts we all possess--we need to support one another. We are so much more powerful together than we are on our own. I know this from my beautiful Midlife Boulevard friends. I know this from when my husband and I owned our restaurant and I co-created the Benton Harbor Marketing Initiative (BHMI) among downtown Benton Harbor, Michigan, businesses, back around the turn of the century—and look at what Benton Harbor has become since! Patience and supporting one another is how we will survive and thrive, despite what the government, the economy, healthcare or Crackbook decides to do, TYVM. I am no longer afraid. And I will be an influencer. I hope you’ll get back on board, Sheryl, and stop making life so hard for the bloggy buddies we almost were in 2013. I’m so sorry, but I have a feeling that in the end, 2014 might hurt just a little for ya.